This screen room in Pensacola, Florida was built with a gable roof system. A tile floor, beautiful indoor/outdoor furniture, and a tiki bar finishes up this screen room nicely. This Pensacola screen room has become the homeowner’s favorite room of the house. They brought their bird cage out, so they can sit outside with their bird and enjoy the outdoors. The gable roof on this screen room in Pensacola allows a much more spacious feel than a studio style roof. Shingles were installed on the screen room roof to match the roof of the existing home. Please visit our Contact page to schedule your screen room design consultation today. 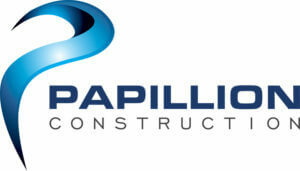 Papillion Construction provides home remodeling and construction services for Pensacola, FL, and the surrounding areas including Milton, Cantonment, Gulf Breeze, Navarre, Crestview, FL, Pace, Molino, Fort Walton, Destin, Panama City, Lynn Haven, and Mexico Beach.